JAA staff routinely monitors how long it takes for an airline to deliver the in-bound bags from the aircraft to the carousel. It is airline staff or their contractors who actually deliver the bags, not JAA personnel. The overwhelming majority of bags are delivered in a timely manner; ten minutes for the first bag to 20 minutes for the last bag on a flight after it arrives at the gate. Delays do happen and they usually occur in the evening. The airlines staff the baggage delivery function according to their daily flight schedule. An aircraft may have flown all over the country in a given day and may have time delays at any one of those stops. If the time lost in those delays cannot be made up, a particular aircraft at the end of the day may arrive quite late at its final destination, in this case Jacksonville. So instead of one aircraft arriving at a given point in time, the airline may be faced with 2-3 arrivals and could not arrange for the extra staff needed to deliver all the bags from each flight within their company’s standards. While there are many factors that an airline considers in deciding what routes to serve, two of the primary factors are how many people want to fly that route on a daily basis and how much money can the airline make on that flight. Another important factor is that airlines like to make the most use of their hubs by funneling as much traffic as possible through the hub. From a domestic perspective, JAA believes that there is enough demand in Northeast Florida to support long haul service to the Los Angeles and San Francisco Bay areas. JAA staff meets multiple times a year with representatives from the airlines to press for such service but airports do not have much influence in airline route decisions since the industry was deregulated in 1978. From an international perspective, there currently is international service to Marsh Harbor in the Bahamas. Additionally, JIA receives about 30 international flights a month on privately owned aircraft. Future international service will likely come from other Caribbean, Central and South American destinations. Demand for service to Europe and Asia will likely not reach the point where airline service is justified for many years. It should be pointed out that from Jacksonville, a passenger can reach just about any major city in the world with one stop. While as mentioned above, airports do not have much influence in an airline’s decision making process, there are a number of tools used by JAA staff to encourage airlines to start service in new markets. JAA staff provides airline route planners with detailed information on the Jacksonville market that they might not be able to find in their usual data sources - such things as the business connections between the two cities or major events such as THE PLAYERS, One Spark and others that might bring people to Jacksonville from those markets. JAA staff conducts numerous meetings each year with the airline route planners both in their corporate offices and also in Jacksonville. JAA staff involves community and business leaders in these efforts to show the airline that the demand is there for the service. JAA has also adopted an incentive program to attract new air service. Certain fees can be waived for up to one year on domestic service and two years on international service to ensure that an airline has the best chance of making money on new routes. Additionally, JAA will provide funds for marketing the new service and ensuring that the traveling public is aware that the service is available. Airlines find this marketing assistance extremely valuable. Once launched, it is up to the community to use the service to make it successful. Airlines do not give new service a lot of time to prove itself. After a number of months if the service is not well used the airline will pull it out and it will be that much more difficult to get it back. That’s why it is extremely important for the community to support these new non-stop destinations. 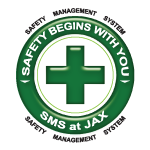 JAA is an independent authority, established under a state charter and is a part of the consolidated government of the City of Jacksonville. It is user supported and receives no general tax dollars from the City of Jacksonville. Much like a private sector company, JAA must take in enough money each month to pay its bills or it could go bankrupt. Neither the city nor the state is required to step in and pay JAA’s bills. Thus, all users of JAA’s four airports (Jacksonville International Airport, Cecil Airport, Jacksonville Executive at Craig Airport and Herlong Recreational Airport) are charged fees for that use. This includes tenants such as airlines, concessionaires, vehicle parkers, companies that lease land and buildings from JAA, and others. JAA receives grants from the federal and state governments to construct projects at its four airports. These grants come from funds that users have paid into the system from taxes on aviation fuel and airline tickets. The positive cash flow that JAA generates is put into either capital projects or JAA’s reserve funds. Security at JIA is a top priority and is multi-faceted with a number of agencies involved. JAA maintains its own police force which is charged with providing security in all facilities controlled by JAA. They work closely with the Jacksonville Sheriff’s Office which also has jurisdiction on JAA property and provides extensive support services to the JAA police unit. JAA officers patrol the terminal building and the grounds as well as the other three airports under JAA’s purview. The Transportation Security Administration (TSA) provides regulatory oversight and is directly responsible for screening luggage and passengers. JAA provides the TSA with an Airport Security Plan which complies with all federal regulations and is the blueprint for security at JIA. A number of other agencies, both state and federal are active in the airport environment and truly make security a team effort. All of the retail shops and restaurants at JIA have concession agreements with the JAA. Within those agreements is a pricing regime called “Street Pricing Plus 10”. Simply put, these vendors can charge no more than 10% above what a similar store off the airport would charge. The key to this concept is similar store. You might be able to find a product substantially cheaper at say a Walmart but it is more likely that a 7/11 type of store is used for comparison. Where a brand name has a location at JIA, prices should be no more that 10% above the prices at the same brand off the airport. JAA staff periodically monitors prices and compares them to appropriate locations off the airport.